With so many historical sights, activities and attractions to choose from, how do you decide what to do in Washington D.C. with kids? I live in the Washington D.C. area and have five children, ages teen to toddler. These are some of the places my family enjoys most. They are also our favorite “D.C.” places to show out-of-town family and friends when they come to visit. Here are my top picks for a family who has 3 days to spend in Washington D.C. I think the best place to start a visit to Washington D.C. with kids is on the National Mall. With views of the U.S. Capitol building and the Washington Monument, your family will feel the energy of the nation’s capital. Start in the morning with a U.S. Capitol building tour. If you are visiting in the spring or summer, I suggest you get timed tickets online. You can also contact the office of your Congressional Representative or Senator for a free private tour. Your representative should have a form or instructions on his or her official website. If you have book lovers in your group, the Library of Congress should be your next stop. This often-overlooked building is perhaps my favorite place in Washington D.C. It is ornately decorated and the docent-led tour is interesting and free. The gift shop is a must for readers! After a morning of tours, your kids will be ready to get outside and run around. Grab lunch from the food court at the U.S. Capitol building or a food truck on the National Mall. In the afternoon, explore a few of the free Smithsonian museums. The most popular museums for kids are the American History Museum, the Air and Space Museum or the Natural History Museum. However, you can’t go wrong with any of the Smithsonian museums so pick a subject that interests your family and start there. On Day 2, see the memorials and monuments that Washington D.C. is famous for. You can see them on foot, by bicycle or via a Hop-on, Hop-off Bus Tour. All are good options. The Big Bus Hop-on, Hop-off Tour is included in the Go Washington DC Card. Spend the afternoon at the International Spy Museum. This world-class museum will entertain kids of all ages and adults as well. Leave yourself at least a couple of hours to enjoy this museum. If the weather is warm and you’d prefer to visit a few more Smithsonian museums, you could spend the morning in the museums on the mall and see the monuments at night. The monuments are less crowded at night, and beautifully lit. Evening is my favorite time to visit the monuments and memorials. If I were traveling with kids, I would spend the last day at Mount Vernon. The museum and home tour are incredible, but the working farm, animals, and grounds you can wander make Mount Vernon a highlight for kids. 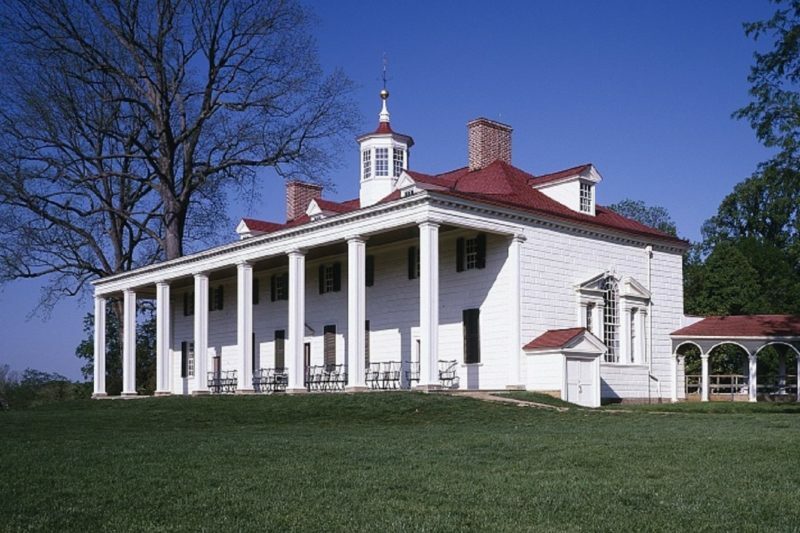 You can spend several hours at Mount Vernon, and they have a food court when you need lunch. One of the best things about visiting Washington D.C. is that so many of the monuments and museums cost nothing to visit! There is no admission charge for the U.S. Capitol Building, Library of Congress or the Smithsonian Museums. There is a small fee to make a reservation for the Washington Monument elevator. The Big Bus Tour, International Spy Museum and George Washington’s Mount Vernon do charge admission. You can purchase tickets when you arrive, but you can save money by purchasing tickets online in advance or bundling admissions with the Go Washington DC Card. You can save up to 40% on admissions when you bundle them with the Go Card. It includes 20 attractions and you can buy a pass that includes 3, 4 or 5 attractions. Big Bus Tours, Mount Vernon and International Spy Museum are on the pass. Click the button below to see prices and options on the official Go City website. Washington D.C. is a fun and educational destination for families. It’s impossible to see everything in one trip, but you can hit a lot of the highlights in a long weekend. I hope these tips will help you plan the perfect Washington D.C. trip for your family. I’m planning on a trip to D.C soon. I will look into Get Away Today. I was also thinking about taking one of those three day tours that pick you up at your hotel and leaving an extra day to go back to whatever I feel I didn’t get to explore. How is George Town? Georgetown is fun and hip–beautiful buildings and lots of great restaurants. I did the Great Food Tours Chocolate tour through Georgetown last spring and it was so fun. Stopped in for chocolate treats at 7 different places in Georgetown. They often have deals on Amazon local if you want to look for one. I know they also offer a Cupcake and Macaroon tour. There is so much to see in the D.C. area–I think it needs three days at a minimum so if you can spare another day or two, you won’t be disappointed. Good luck with your trip planning! Thanks for sharing! It’s great to know that there’s places for the kids to enjoy themselves also.. Interesting article. I am looking for such kind of information on the web and I found in your blog. Keep sharing I loved it.